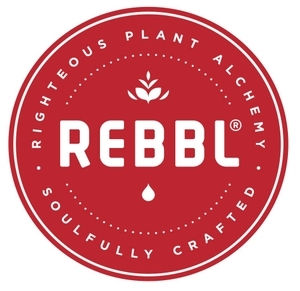 REBBL, Righteous Plant Alchemy ™, is a fast-growing beverage company based out of Emeryville, California, crafting Elixirs that reflect our obsessive attention to ingredient purity, potency and authenticity. We were born out of a conscious collaboration between global thought-leaders, whose soul purpose was to address the malfunctioning global food system through a regenerative business model that would respect, uplift, and delight the world. Organic – Every ingredient we use is organically grown for your health and for the health of the farmers, the soil, and the water where it was produced. Fair Trade – We support fairly traded ingredients whenever they are available. Real Ingredients – REBBL is made from real foods and ingredients that you can pronounce and recognize. We believe in the intelligence of nature and respect the natural health promoting complexity of whole foods. True Taste – What you taste is what you get – the whole ingredients and herbs – that’s it. No taste bud trickery. No strange after tastes created by flavor labs. No thickeners to make you believe you are getting something that you are not. Efficacy – Our promise: If we can’t use a super herb at meaningful, efficacious levels, then we won’t use it at all. When we see “50mg Ginseng” on a canned energy drink, we can only sigh and shake our heads….what a waste of a perfectly good ginseng root. We are deeply committed to supporting human dignity through impact sourcing and supply chain integrity. 2.5% of our net sales go to Not For Sale, our nonprofit partner, to support their efforts in eradicating human trafficking. Through initiatives with our grower communities, we strive to stop trafficking before it happens, and in our efforts with Not for Sale, we support the healing of those who have been trafficked. Create awareness and drive trial of all REBBL products at strategic local events and retail store level; activate sampling events, influencer seeding, social media initiatives and product drops to create a personal connection with the consumer. We activate a variety of sampling opportunities ranging from in-store demos and yoga classes, to major festivals. Activations are primarily scheduled Thursday through Sunday, but availability throughout the week is a plus. If you absolutely LOVE natural and organic food/herbs/beverages, engaging with people, and sharing information on nutrition, health, and wellness you'll enjoy working for REBBL. Must have basic knowledge of email and MS office (Word, Excel, PowerPoint). Must be able to lift/ carry a minimum of 30 lbs. Hours and number of days per month vary and are flexible to your schedule; weekend work is necessary to the role and ongoing. Competitive hourly rate.